Smaller streets, green spaces and more accessible public transit could give Toronto an environmental facelift. Florian Mayer, a former research intern at Ryerson this past summer, is going to present his recommendations to the 54th International Making Cities Livable Conference in Santa Fe, New Mexico on Oct. 2. 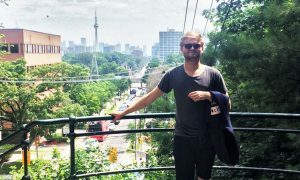 He now lives in Denmark, but he came to Canada, with funding from the non-profit Mitacs, to research ways to improve city infrastructure, namely roads, with a public health angle in mind. “Our aim was to basically do research on the interaction between public health and the urban fabric. The urban fabric is basically everything within the city. It can be buildings, it can be roads it can just be anything that is built,” said Mayer, who specializes in urban geography. Mayer and lead author, Ryerson professor Leila Farah, focused their study on one neighbourhood in Toronto: Flemingdon Park, the North York neighbourhood that runs right next to the Don Valley Parkway. A recognizable landmark in the area is the Ontario Science Centre. The people living there are mostly working class immigrant families, making them a special area of interest for Mayer’s research. “We picked Flemingdon Park because it was a priority neighbourhood. The people are poorer there. They are socially and economically vulnerable,” Mayer said. The main challenge residents face is the area’s roads. Unlike Mayer’s very walkable native country of Germany, the general layout of Toronto is very car-centric, and Flemingdon Park is no exception. The design of the neighbourhood forces residents to take cars instead of walking, which in turn is harmful. “Driving is really bad for our health. We sit a lot, we are not doing any physical activity,” Mayer said. The lack of physical activity is one negative health effect, pollution is another. There are residents in Flemingdon Park who live within less than 50 metres of the Don Valley Parkway. There is a large amount of scientific literature talking about the effects of noise and particulate pollution from cars on mental and physical health. “If you are asthmatic and you stand near big roads, it is not good for your health. Also, aerosols can also cause lung cancer,” Mayer said. Dr. Ray Copes studies pollution for Ontario Public health. He knows the exact mechanisms of how these aerosols get absorbed by the human body through tiny air sacs located in our lungs, known as the alveolus. “What we do know about these ultra-fine particles is that not only do these get inhaled into our lungs, but these ultra-fine particles get taken across our alveolus in our lungs and get into the bloodstream where they circulate around the body,” Copes said. Copes mentioned how he walks through downtown Toronto by taking side streets to avoid the noise and exhaust pollution of the city. Coincidently, Mayer explored the possibilities of recommending the concept of a smart city to Toronto. “If you have, for example, apps and if you look at the concept of a smart city you can actually enable people to choose their routes. If you are asthmatic and you want to go to work in a healthy way… You can look at your app and say OK, say this street for example, is full of aerosols and air pollutants, I shouldn’t take this route to work,” Mayer said. In a written statement, the Ministry of Transportation said that they are putting in place measures to mitigate pollution from cars. 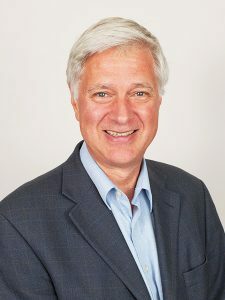 “With the release of the Climate Change Action Plan, the ministry is rolling out a suite of programs and policies to further support green technology, transition to lower-emitting vehicles on Ontario’s roads and create more opportunities for cycling in the province,” said Bob Nichols, senior media liaison officer for the Ministry of Transportation.